What Are Circuit Boards Used For? | Northpoint Technologies Inc.
Northpoint Technologies is a company known for things like touch screens, silicone switches, flex circuits, and wiring harnesses. This is a long way from the electronics of old, when vacuum tubes were used and components had to be soldered together by hand to things like terminal strips and tube sockets. Technology itself has come a long way in a couple generations, and Northpoint is on the cutting edge of technology today. Printed circuit boards are conveniently thin and useful boards. They’re made from an insulating material and have a metal coated surface. They have pathways for electricity thanks to etches made in the metal with acid. Solder is used to mount components on the surface of these boards. Rugged in style, printed circuit boards can be quite small if need be, and holes drilled in them allow easy insertion of things like resistors and capacitors. Automated processes make it possible for these to be soldered without the need for a human to touch them. Perhaps the greatest example of where printed circuit boards end up in a place where the general public sees them would be modern day computers. If you’ve ever opened up a computer case to see the guts of the machine, you will have seen actual printed circuit boards in there. They perform all sorts of functions, from “memory” to “video” and more. Furthermore, boards like these are found elsewhere in many household items, such as TVs, stereos, digital clocks, microwave ovens and people’s personal cell phones. 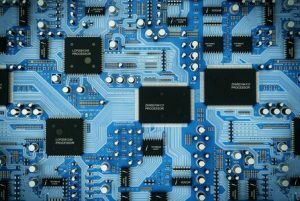 In essence, today’s technologically advanced world literally runs on printed circuit boards. Without them, life/society as we know it wouldn’t exist. Printed circuit boards have to come from somewhere, right? They have to be made, and that’s something that Northpoint Technologies takes care of– you can browse the website to see the various products offered such as flex circuit interconnects, attachment pins, stiffeners, and shielding. Northpoint not only makes printed circuit boards, but also the individual components associated with these boards. For more information, please call Northpoint Technologies at 915-591-6300.